Any student in Manchester will have undoubtedly heard of Fallowfield and almost certainly will have lived there at some point. It’s well known for its lively house parties, delightfully dingy accommodation, and the best post-night out food. Yet recent closures of legendary institutions in the area bring into question its status as Manchester’s premier student area. In the past year, ‘The Tower’ has become unoccupied, both the Fallow Cafe and The Font have closed down, Tesco Express and the post office contained within have now disappeared. Even the famed bandaoke at the Ram is now merely a ghost of the past. Haus replaced Fallow Cafe briefly, but it did not last long. The Bar has set up residence but only time will tell if it will have a lasting influence in the area. 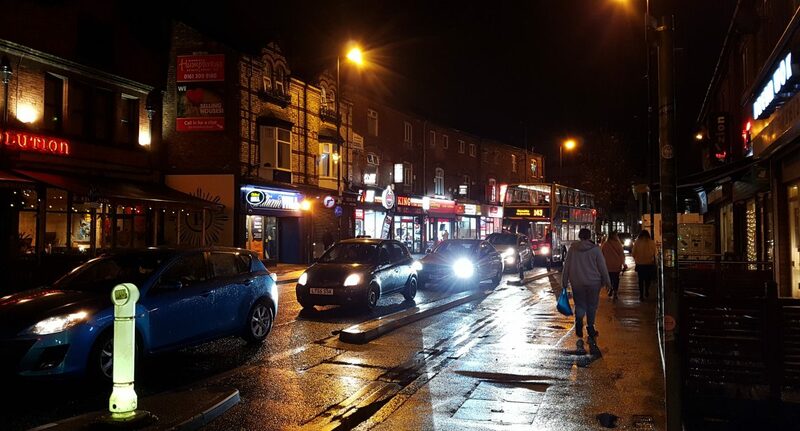 Maybe we, as final year students, are just getting older, but it feels like Fallowfield is no longer that alluring place at the end of the Curry Mile. It seems as if it has lost its student spirit. Talking to first-year students and residents of Fallowfield, people are still drawn to this residential area because of how social it is and the convenience of popular venues such as Friendship Inn. “I guess Fallowfield is…like the hub of social activity for students,” Max, a first-year Fallowfield resident tells us, “…it makes sense to live here as opposed to somewhere a bit further away.” Indeed, the area lends itself to the needs and wants of the younger student population. However, it’s evident that Fallowfield is changing to those who’ve lived here for several years. Perhaps the academic demands of final year make students inclined to move away from the area, or the deterioration of the facilities are pushing people away. When compared to other areas, Fallowfield, in Georgia’s opinion, has one clear advantage: “The appeal is being around so many people…” The unique atmosphere of the area is crafted from a blend of the different micro-hubs acting as exciting forums for students to socialise. Whilst she remarks that areas like Victoria Park are safer and quieter, she understands why first-year students, in particular, would be drawn to living in Fallowfield. Despite this, she is keen to support the fact that students shouldn’t be afraid to explore housing options outside of this bubble: “There’s definitely more to student life than Fallowfield…” Not battling for a seat on the bus, a heavier workload, and a restful night’s sleep appear to be just some of the factors swaying older students to move away.